What material are your shutters made from? Our shutters are made from a range of high quality MDF, Basswood, Cedarwood and ABS Waterproof Plastic. View our Shutter Ranges page for more details. How long will my shutters take to be delivered? We usually deliver shutters within 6 weeks from confirmation of order. Some of our more technical orders may take 7-9 weeks and custom colours and shapes a little longer. We also offer a 4 week express delivery option on our UK made shutters. Contact us for details. 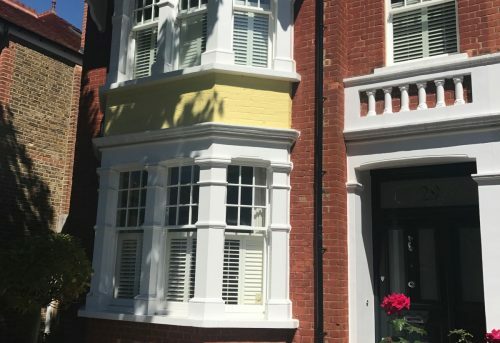 Do you offer express shutter delivery? Yes. For an additional cost we can air freight urgent orders for express shutter delivery in just 4 weeks. We also offer express delivery on our UK made shutters. Contact us for details. Where do Shuttersouth shutters come from? Our shutters are manufactured in the most advanced shutter factory in the world situated in Guangdong, China. This is a purpose built facility complying with international labour laws and committed to the highest possible standards of environmental responsibility and the well being of all staff employed. We also have a small selection of shutters made in the UK. What slat sizes do you manufacture? Our shutter slat size options are 47mm, 63mm, 76,mm, 89mm and 114mm. We sand and paint our shutters 5-6 times to ensure a smooth even finish. Our paint is also UV resistant and water resistant so you never have to worry about repainting. Every now and then when there is visible dust use a flexible microfiber wand to clean your shutters. This absorbs the dust rather than moving it around. At longer intervals a damp cloth can be used to remove excess dirt. Can I measure and fit the shutters myself? No, we offer supply and installation only. How long are your shutters guaranteed for? All shutters come with a 5-year warranty. All prices quoted are subject to a final survey being completed on site. Payment of 50% of the full cost must be made in order to secure the order, whereby a final survey will be completed, and shutters ordered. Full payment is due no later than 5 working days before installation date. Payment made by credit or debit card will incur a 2.75% charge. This will be waived from the deposit only, if paid at the same time the final survey is completed. Yes. 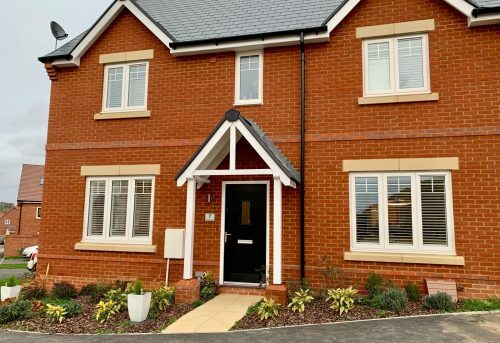 Thermal imaging research by The Edinburgh World Heritage Trust has shown that shutters can significantly reduce heat loss through windows, with closed shutters reducing heat loss from a single glazed window by as much as 51%. By comparison, curtains only reduce heat loss by 15%. 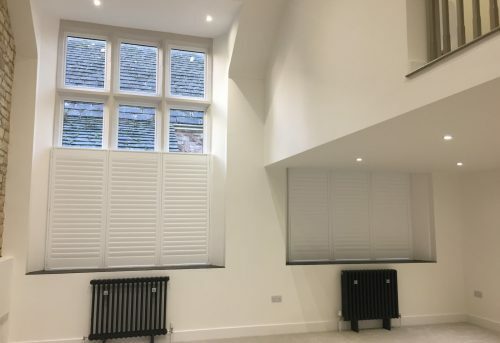 Our shutter blinds are custom made to fit your windows perfectly, reducing any draughts and maximising insulation. Which shutters are best for a bathroom or kitchen? We would recommend our Basingstoke Shutter Range for bathrooms and kitchens. 100% waterproof, these shutters are extremely hard wearing but also look provide a stunning finish to every style of home. In what areas do you fit shutters? Chandlers Ford, Netley, Basingstoke, Hedge End, Tadley, Warsash, Arundel, Bishops Waltham, Fareham, Lymington, Eastleigh, Littlehampton, New Forest, New Milton, Winchester, Romsey, Alresford, Southampton, Christchurch, Andover, Portsmouth, Emsworth, Alton, Lee on Solent, Locks Heath, Petersfield and Hamble. If your location isn’t listed here, don’t worry as we cover many more places so contact us to find out if we can come to you.